Ukraine, so dear to my heart, is the heir and treasurer of the behests of St. Prince Vladimir, the baptizer of Rus. Moscow, August 25, Interfax - Patriarch Kirill of Moscow and All Russia has greeted Ukrainian President Pyotr Poroshenko on Ukraine's Independence Day. 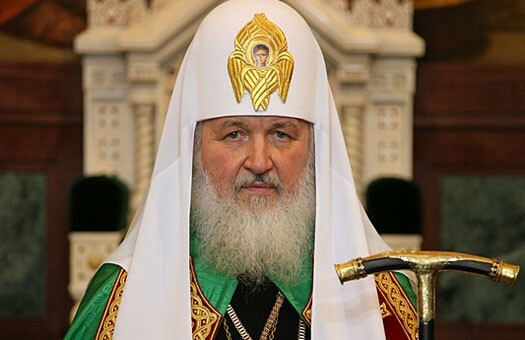 “Once and again I am calling on you to do everything possible for the speedy termination of bloodshed for the sake of all residents of Ukraine,” the patriarch’s message of greeting says as quoted by the Moscow Patriarchate website. The patriarch is convinced that Ukraine vitally needs peace and civil harmony, unity around Christian values and a national-wide dialogue through which people of varying views and convictions separated by the confrontation could take actual part in determining the future of their fatherland. “Ukraine, so dear to my heart, is the heir and treasurer of the behests of St. Prince Vladimir, the baptizer of Rus. Largely for this very reason its people is meant to demonstrate an example of godly life following the God’s truth. It is indicative that Ukraine holds one of the leading places in the number of churches among the countries with a predominantly Christian Orthodox population,” the patriarch noted. “I believe and hope that in the very nearest future Ukraine will become a prosperous country the people of which will not suffer from the consequences of sinful human will,” the message says. On Sunday the patriarch conducted a liturgy in St. Nicholas Peshnosha monastery in Moscow region. During the service he prayed for the memory of the killed and for the recovery of the wounded in the church of St. John of Kronstadt in Kirovske, Donetsk region. Earlier reports said that a shell brought down the roof of the church on worshippers. As a result three people died on the spot while the priest, his wife and four parishioners were hospitalized with injuries.